One of my earliest memories growing up in a Tamilian household, was being in awe of the antique brass vessels adorning the kitchen that were used only during festive occasions. 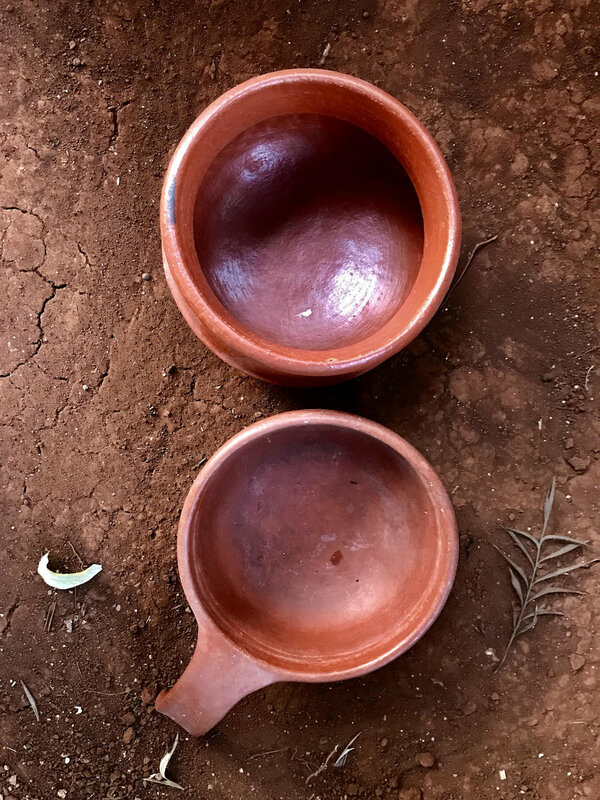 ‘Barnis’ being used to store ‘ kanni manga’ achhar and the simple matka for water. In the past, these items were crafted as a response to everyday household necessities and their usage was mostly limited to cooking and storage. Pots, both earthen and metallic, were one of the most tangible and iconic elements of local art and became a ubiquitous part of homes. They were not just very utilitarian, but their properties were understood and used ingeniously. Some of the oldest refrigerators were made using earthenware! For this, two pots of different diameters were used, one placed inside the other. The space between the two pots was filled with soil that was kept constantly moist. When kept in a well-ventilated space, moisture from the porous surface of the pot was carried away by the gentle breeze, and fruits and vegetables kept inside were kept cool due to this process of evaporation. The ‘matka’ was well thought of, with a big belly and a small opening at the mouth. The belly helped the human carry up to 3 pots of water on the head while fetching water from a long distance, while the narrow mouth prevented spillage. The ‘kalchattis’, thick walled soap stone vessels were used to cook curries in my ancestral home. These pots were traditionally used over a wooden stove, later on gas stoves. The soap stone is a soft and porous stone hence the curry would be heated evenly. It would also enhance the flavours of the food. These pots had to be seasoned everytime before using them over flame and hence slowly they stopped being used. Today, a lot of factors have changed the original place of clay crafts and we have a much wider usage spectrum. A bowl could be used for noodles, ice cream or halwa, or bought simply to look beautiful on the owner’s shelf. 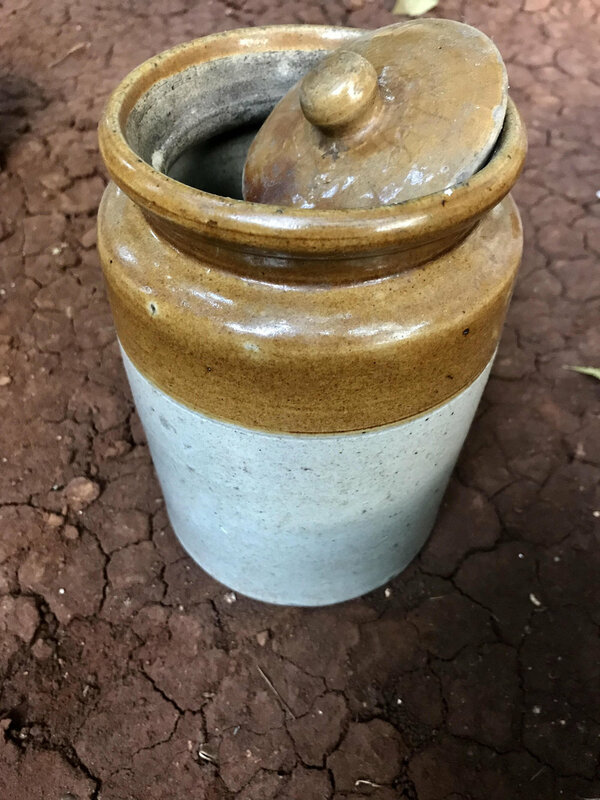 Personally, as a modern day studio potter, the act of throwing a pot involves the technological aspect about how a pot should be made, style aspect of what it should look like and corresponding it with the function. While defining style questioning the aspects that are referring to local or individual identities and ones that are signifying the functional classifications and connecting the two is my biggest challenge. ‘Kalimann’ literally means ‘play clay’ in Tamil. I strive to find a balance between blending different forms, but keeping it simple at Kalimann Studio. I think it can be elegant in a timeless way and demands attention to the form and its unpretentious characteristics. The clay is wedged to remove air pockets, modeled by hand building techniques or on the wheel, dried, and fired twice usually with a glaze to finish. I use a stoneware clay body and currently fire to 1220 deg C in a gas fired kiln. An integral part of the firing is the addition of liquid glaze to the surface of the pot, which changes chemical composition and fuses to the surface of the fired pot to make it vitreous. I try to incorporate local materials in my slips and glazes and experimenting with wood ash that is locally available to give interesting effects to the glazes. The rest of the magic happens in the kiln. Hopefully, the pots grow on its users and tell their own stories across generations. The Craft Project wishes to document tangible anthropology i.e material culture of a place and comment on its relevance in the contemporary space. We also wish to bring together a community of cultural travelers and craft entrepreneurs and create a collective of common motivation. The Craft Project celebrates Diversity in culture through objects, folk arts, crafts, and design. Through this project, we will be conducting community-sourced primary research and publishing and will involve brands, NGOs, collectives, makers, designers, curators, thought leaders, other publications etc.